Taipei, Taiwan, 4 September 2017 – Advantech (TWSE: 2395.TW) today announced the new VEGA-7010 server which supports professional-grade 4K/8K HEVC/AVC processing in a 1U, short depth system with an appliance look and feel and a low-power consumption. Video equipment manufacturers can leverage the server-class Intel® Xeon® Processor E3 and low-latency UHD HEVC video acceleration technology integrated into the highly configurable VEGA-7010 to build a variety of dense and energy efficient edge computing video encoders, decoders and transcoders. 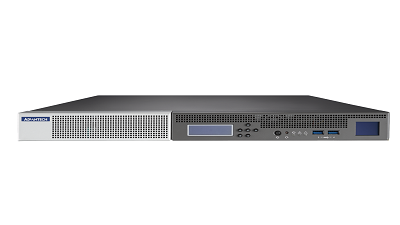 The VEGA-7010 broadcast quality, reduced footprint and ease of use make it ideal for contribution and distribution workflows at locations such as live productions or regional broadcasting nodes. The increasing adoption of HEVC for live streaming of high resolution video content is outstripping the processing capabilities of existing video solutions. There is a tendency to move heavy lifting video processing tasks to the cloud but the computational complexity of HEVC still remains a concern when having to deal with live UHD encoding and decoding locally. The new VEGA-7010 brings powerful, low-latency and efficient 4K HEVC acceleration to the edge of the video infrastructure. 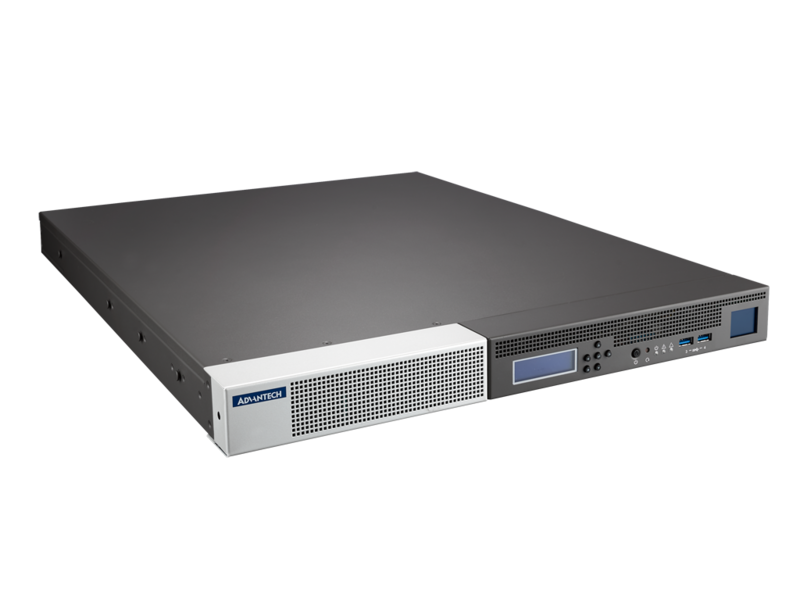 Advantech’s latest video server provides high-performance and broadcast-quality media processing in a compact and low power format that can be easily deployed to run encoding, decoding or transcoding applications in production facilities, outside broadcasting units or local hubs. The new VEGA-7010 is a highly configurable, 1U, short depth video server based on the Intel® Xeon® Processor E3-1200 v6 Product Family that integrates on-chip graphics engine to improve performance of 4K HEVC developments. Its four PCI Express slots provide high flexibility to fit a wide range of video accelerators such as FPGA or GPU cards supporting up to 300W PCIe power in total. When integrating Advantech’s VEGA 3300 accelerators, the VEGA-7010 can perform multi-channel 4Kp60 HEVC 10-bit encoding, decoding or transcoding, including SDI and IP media capture. It supports dual redundant power supply units for high availability in a variety of edge media processing scenarios. The application-ready VEGA-7010 streamlines product development and shortens time-to-market providing equipment manufacturers with a comprehensive software package that supports Linux and Windows operating systems. The new VEGA-7010 enables live UHD contribution and distribution at edge for the video cloud. “Cloud-based architectures will certainly help media companies to efficiently deal with the massive compute needed for UHD HEVC video processing, but live contribution and user proximity will still play a key role in the upcoming video-centric era,” said August Hsieh, Product Director for Advantech Video Solutions Division. “The new VEGA-7010 enables live UHD contribution and distribution at edge locations to handle complex encoding, decoding and transcoding tasks locally, outside of the video cloud. This allows for distributed architectures where media companies and service providers can benefit from the agility of the cloud and the flexibility of edge processing platforms closer to the action and closer to subscribers”. Advantech will be showcasing the new VEGA-7010 at the IBC Show in Amsterdam, Hall 11, Booth C32, September 15-19, 2017. For more information and to book an appointment, please contact video.solutions@advantech.com or visit www.advantech.com/nc/spotlight/IBC2017. 4K/UHD broadcasting is increasing rapidly especially for sports events. 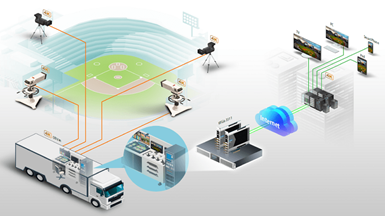 To provide a better service and improved experience for their sport fans, Advantech helped a national broadcaster in Taiwan to implement a 4K live streaming system tailored for sport-focused events such as professional baseball and basketball. The yearly NAB show brings together the top innovators in the field of content creation. At this year’s show, Advantech will host an interactive exhibit demonstrating some of its newest products and solutions for video creation, processing, storage and transfer. The VEGA-3318 is the world’s first commercial-off-the-shelf video accelerator able to perform low-latency, professional-grade 8-ch 4Kp60 HEVC transcoding in an ultra-low power PCI Express format that can be integrated into standard servers via Linux API. Up to four VEGA-3318 accelerators can be integrated into a 1U server supporting up to 32 live UHD HEVC ABR streams per rack unit - the highest density available in the market. This enables agile, scalable, energy and cost efficient data center deployments to address the growing demand of live UHD OTT video streaming in the cloud. The CAPEX and OPEX savings are significant. VEGA-3318 accelerated solutions benefit from an up to 30x performance boost and up to a 20X reduction in power consumption and rack space when compared to non-accelerated solutions. The VEGA-3318 supports UHD, HD and SD formats and HEVC, AVC and MPEG-2 codecs including 10-bit profiles, 4:2:2 chroma subsampling and ABR streaming. Developers can leverage Advantech’s SDK which supports Linux and Windows operating systems, FFmpeg and GStreamer. In addition, Advantech has created software drivers that are virtualization friendly and support OpenStack. Advantech also offers hardware and software design and customization services for maximum deployment flexibility. VEGA-3300 enables real-time 4K UltraHD (2160p60) HEVC encoding at up to 20x less power consumption than a software-only solution. The HEVC/H.265 codec is gaining momentum because it reduces bit rates by approximately 50% when compared to an equivalent quality video stream encoded using H.264, enabling more channels or higher resolution video delivery over the same infrastructure. It is particularly relevant for 4K UltraHD transmission which requires a much higher stream capacity. These improvements are achieved at the penalty of much higher computation complexity, with up to four general purpose server class processors required to perform a 4K 60fps software-based broadcast quality HEVC encoding in real time. 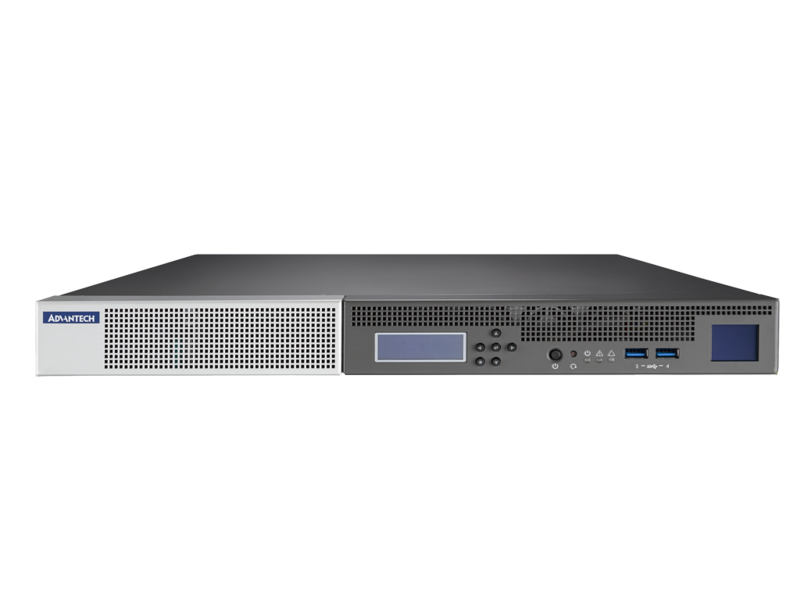 VEGA-3300 is tailored for professional media processing and are capable of performing professional grade 4Kp60 Main10 profile HEVC encoding at less than 15W power consumption. The VEGA-3300 targets file or stream-based encoding workflows in a low profile PCIe adapter format to facilitate the integration of multiple accelerators in a range of servers and appliances. This card feature a simple-to-use API and example code for FFmpeg and GStreamer multimedia frameworks to streamline product development and their integration into existing applications. The VEGA-7010 is a highly configurable, 1U, short depth video server based on the Intel® Xeon® Processor E3-1200 v6 Product Family that integrates on-chip graphics engine to improve performance of UHD HEVC developments. Its four PCI Express slots provide high flexibility to fit a wide range of video accelerators such as FPGA or GPU cards supporting up to 300W PCIe power in total. When integrating Advantech’s VEGA 3300 accelerators, the VEGA-7010 can perform multi-channel 4Kp60 HEVC 10-bit encoding, decoding or transcoding, including SDI and IP media capture. It supports dual redundant power supply units for high availability in a variety of edge media processing scenarios. The applicationready VEGA-7010 streamlines product development and shortens time-to-market providing equipment manufacturers with a comprehensive software package that supports Linux and Windows operating systems.